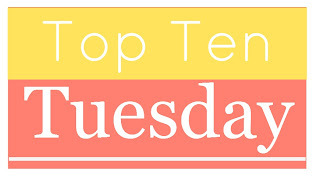 Top Ten Tuesday: Top Ten Books I’ve recently added to my TBR! Top Ten Tuesday is an original feature/weekly meme created here at The Broke and the Bookish. Click Here for more details. This week’s TTT are books that have been recently added to my “to-be-read” pile. 1. Written in the Stars by Aisha Saeed. What pulled me in is the cover for this book! But it sounds amazing and I really want to read it. 2. Legacy of Kings by Eleanor Herman – I’m a HUGE fantasy fan and the minute I saw this cover I was sold! 3. Tangled Webs by Lee Bross – My friend Nori over at http://readwritelove28.com/ said that this book was 5 stars! And she said if you love Grave Mercy, you’d love this book. AND I LOVE GRAVE MERCY. So, I WANT it! 4. Walk the Earth a Stranger by Rae Carson. I LOVED the Girl of Fire and Thorns series by Rae Carson. Easily one of the best trilogies ever. This book sounds like a lot of fun. Magic, gold rush…yes! 5. Valiant by Sarah McGuire. I don’t know anything about this book other than Jodi Meadows (author of The Orphan Queen) recommended it. 6. Soundless by Richelle Mead. How could I not want this book??? I can’t wait! 7. A Thousand Nights by E.K. Johnson. Just look at it!!!! I want it!!! 8. The Witch Hunter by Virginia Boecker. I’ve heard amazing things about this book! 9. Liars, Inc. by Paul Stokes. This isn’t a book I normally would read BUT I do enjoy a good mystery thriller every once and a while and everyone is raving about it! 10. Blood, Ink & Fire by Ashley Monsour. This is a dystopian about a world without books. Kinda reminds me of Fahrenheit 911 and I really enjoy these types of stories. I just finished Written in the Stars and it was sooo amazing!! I'm also really looking forward to Liars, Inc! YES!! You must read Liars INC!! It's an absolute page turner!! I know Valiant is middle grade (which i don't read too often, aside from anything Rick Riordan which i LOVE) but i'm really excited for that one! also i've never heard of Tangled Web, but the cover alone is enough to make me want to add it to my TBR! great list this week Sara! Yay! I'm glad to hear you loved Written in the Stars! I'm so excited to read it. Oh thanks Emily! I didn't know it was MG. 🙂 Nori was soooo excited about Tangled Webs and she hasn't steered me wrong in recs! Fantastic list! Some new ones for me that I've eagerly put onto my wishlist, and some that, like you, I'm already getting impatient to read! I can't wait for Soundless. When I found out about it, I immediately added it to my TBR list. These are all such great picks! I'm especially excited to read Legacy of Kings, A Thousand Nights, and Walk the Earth a Stranger.